They explored how sea urchin quality could be quantified and used to predict fishermen’s behavior. She and her colleagues found that understanding the local dynamics of this fished resource can make management strategy evaluation and planning more effective. The findings appear in the journal PLoS ONE. 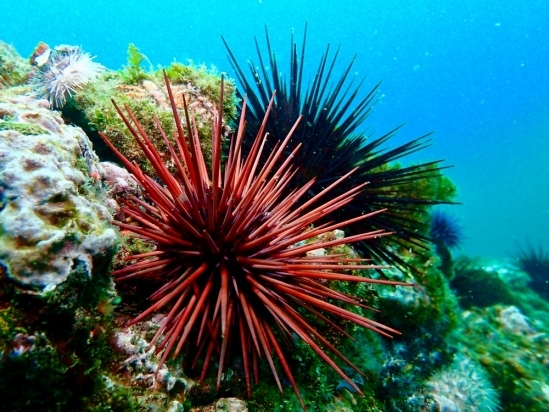 The red sea urchin is one of the most highly valued coastal fisheries in California. This entry was posted in Uncategorized and tagged Management, Marine resources, sea urchins. Bookmark the permalink.